If you are on Mac OS/X or Linux and using Firefox you'll need to use the browser plugin for full functionality. This is a requirement to see browser time broken down by a website. 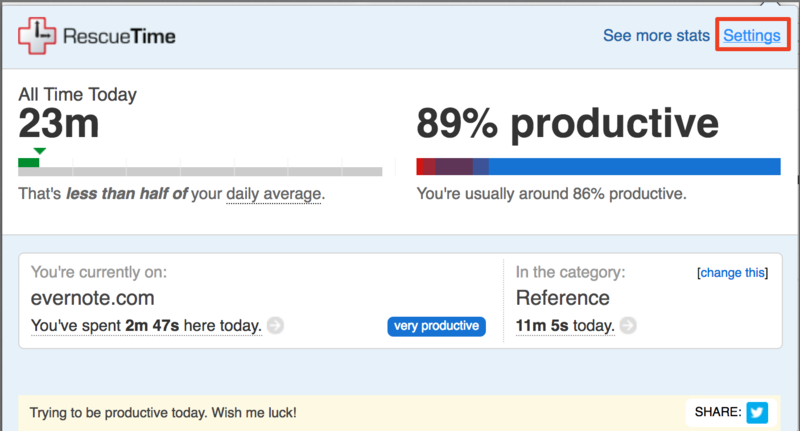 Where can I download RescueTime's Firefox extension? Is there anything I need to know when I install the extension? Yes. 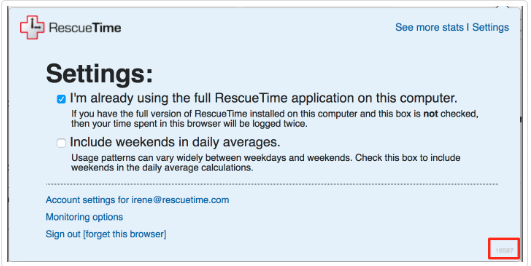 If you have already created a RescueTime account make sure to tick the checkbox "I'm already using the full RescueTime application on this computer", and click on the Sign in to RescueTime button. Click Settings on the Firefox extension window. At the bottom right side of the extension window, you should see a port number. This means that you are connected and ready to go. 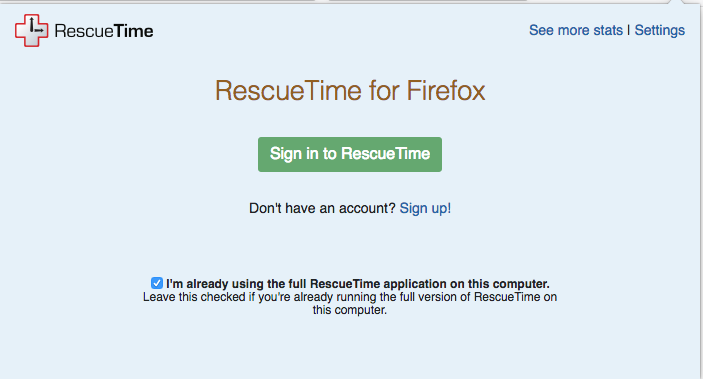 Can RescueTime tell me if I am not signed into the Firefox extension? Yes. If you're logged out of the extension, you'll notice a red exclamation mark. You'll need to sign back into the application to continue recording browser details.